I created this recipe to make use of some ingredients I had on hand from the Farmer’s Market forage. I had several small pie pumpkins and some Calabrese Sausage from Franco’s Sausage. The Andouille Sausage is my absolute favorite, but this one is also very tasty. 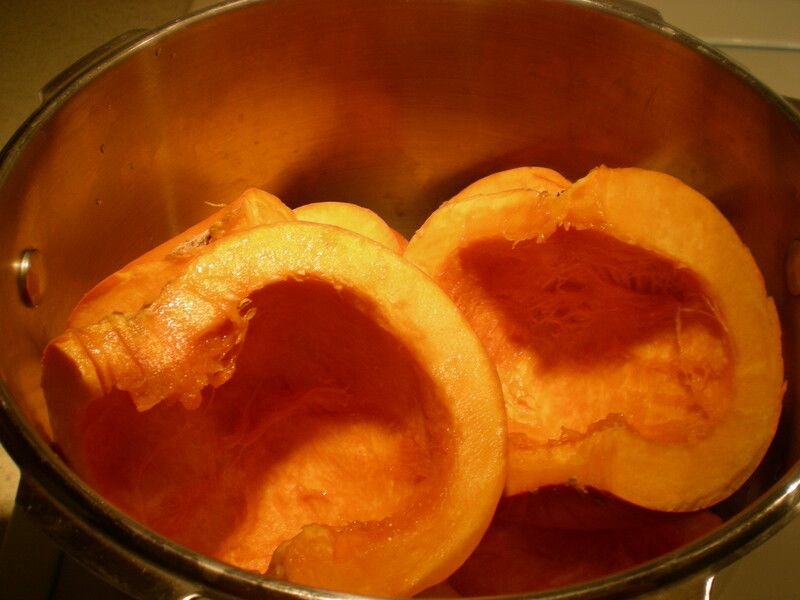 Quarter the pumpkins, remove the seeds and stringy material, and cook in pressure cooker for 13 minutes under pressure. Release pressure by running cold water over the pressure cooker. 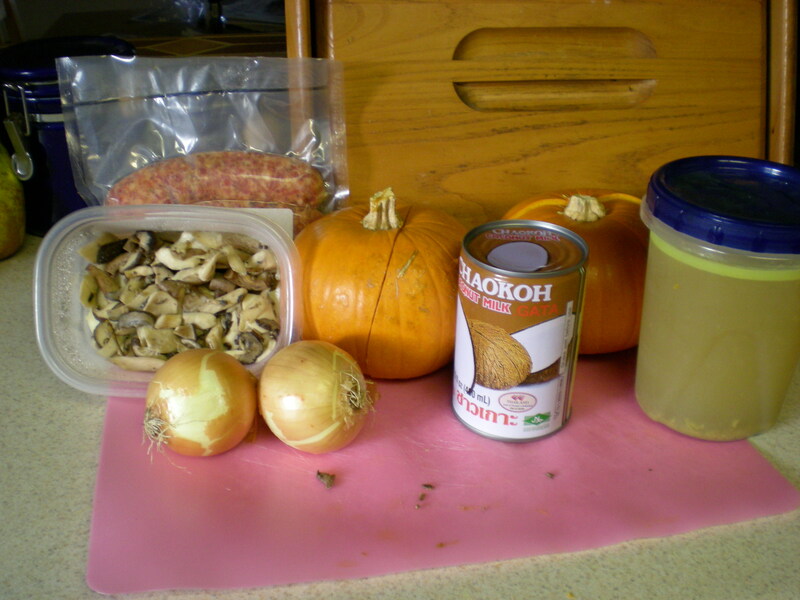 (You could also bake the pumpkin if you do not have a pressure cooker). 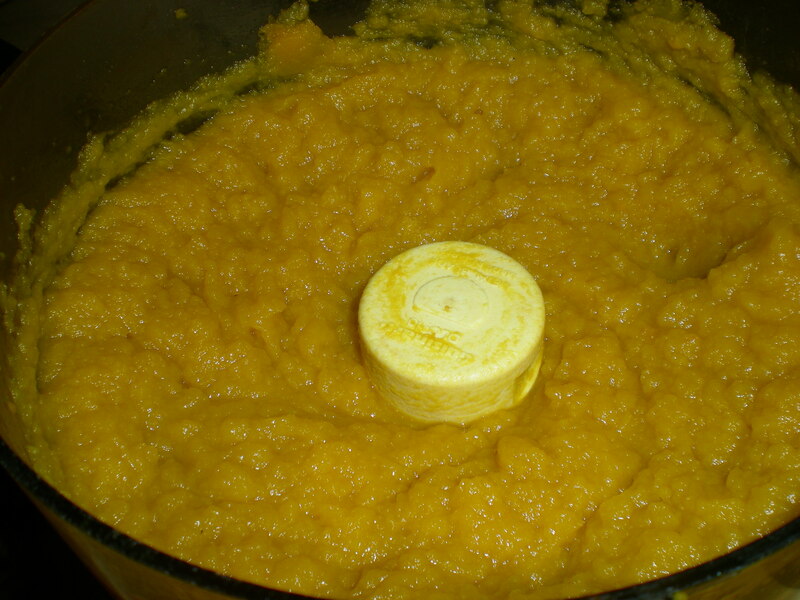 Remove the rinds and puree in food processor until smooth. Heat a stockpot over medium high heat. 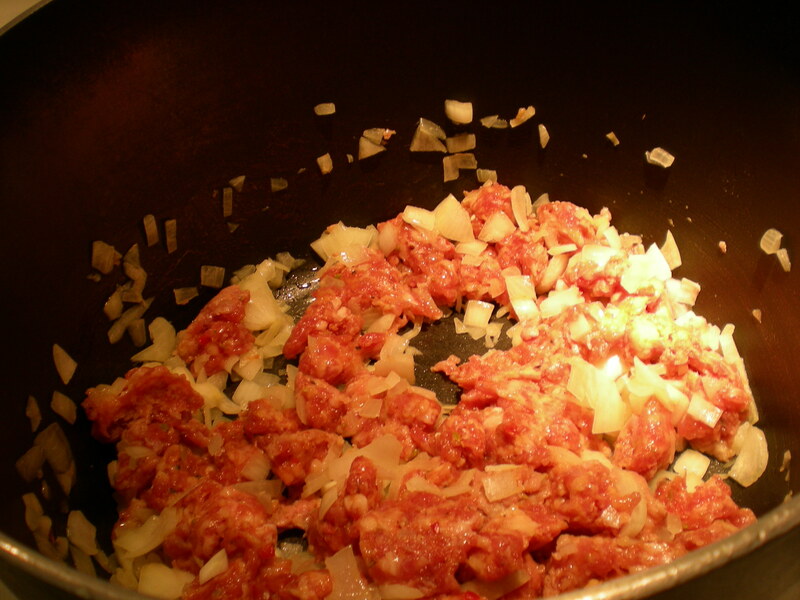 Remove the sausage from the casings and crumble into the bottom of the pot. Cook the onions and sausage together until onions are translucent and sausage is browned. Add the other ingredients (except the curry paste). Heat just to a boil, then reduce heat and simmer for several hours. Season with curry paste, if desired. Perfect for a rainy Autumn day. 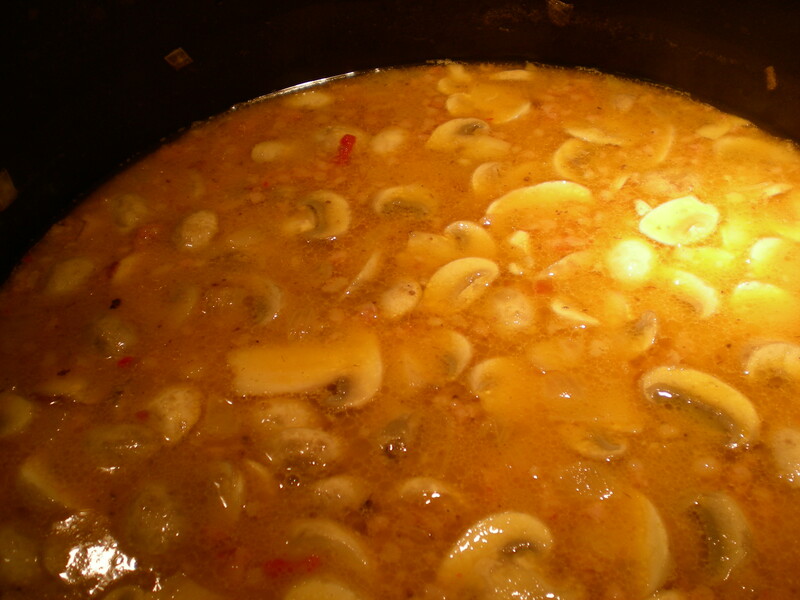 This entry was posted in Recipes and tagged canned coconut milk, Cooking, Farmer's Market, green curry paste, Low Carb, Mae Plo, Paleo, Paleo diet, Paleo Recipe, Pressure Cooker Recipe, Recipe, sustainable food, Thai Curry. Bookmark the permalink.